The CEO of Google has had to explain to congress why searching ‘idiot’ brings up pictures of the US President. 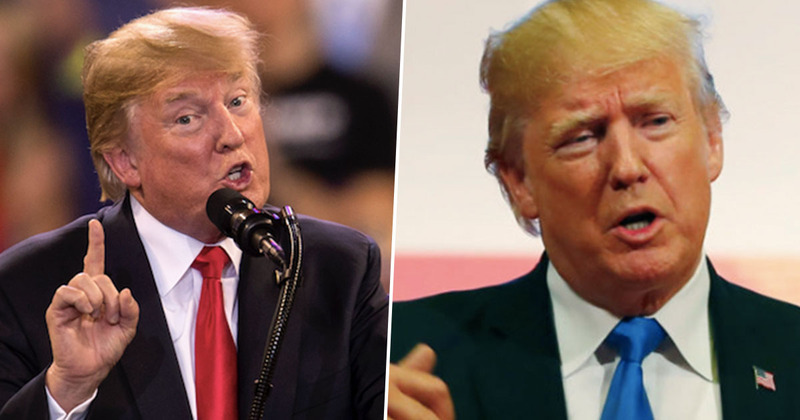 People think lots of things when you say the words ‘Donald Trump’. Businessman, President, golf, and Twitter, to name a few. He’s a leader to some, and based on the search engine evidence, an idiot to many others. With news articles and social media posts it would be understandable as to why searching the name of the POTUS would bring up these kinds of words, but when it’s the other way around it really says something. Except now we’ve swapped dictionaries for Google. Yesterday (December 11) Sundar Pichai, CEO of Google, had to address Congress and explain why Trump appears when you search the derogatory word. Pichai was questioned by Rep. Zoe Lofgren before the House Judiciary Committee, where he had to refute allegations the search result was down to a political bias from Google. Lofgren explained how she had searched the word ‘idiot’ and found images of America’s leader – which still happens, if you want to try it. 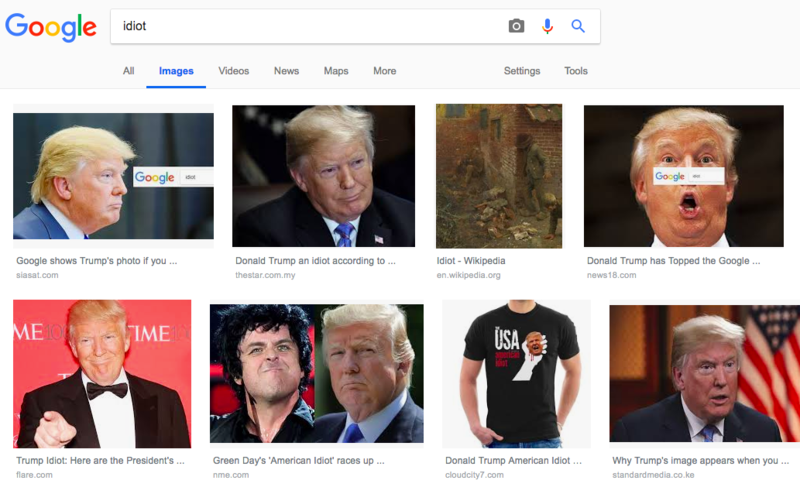 Right now, if you Google the word ‘idiot’ under images, a picture of Donald Trump comes up. I just did that. How would that happen? How does search work so that would occur? The CEO explained how the search engine’s results are based on a variety of things, such as relevance, freshness, and popularity. Google doesn’t make a specific decision on the results, but rather bases them on what internet users are associating with a particular term. We provide search today for any time you type in a keyword. We have gone out and stored copies of billions of pages in our index, and we take the keyword and match it against the pages and rank them based on over 200 signals. So it’s not some little man sitting behind the curtain figuring out what we’re going to show the user? It’s basically a compilation of what users are generating. If it was a little man behind a curtain, he’d certainly have his work cut out for him. 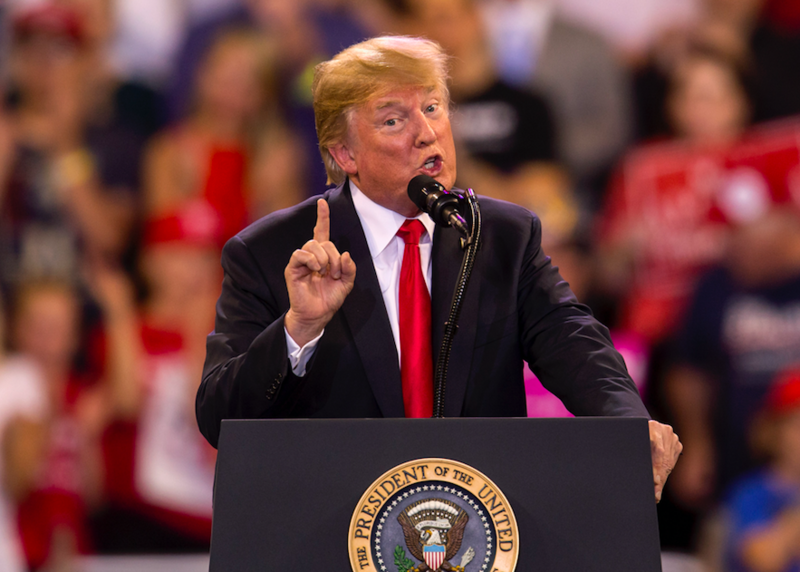 Pichai didn’t explain exactly why Trump’s face appears under the term ‘idiot’, but The Guardian has explained in the past how anti-Trump activists found a way to manipulate the results by upvoting a Reddit post containing an image of the President and the word ‘idiot’. 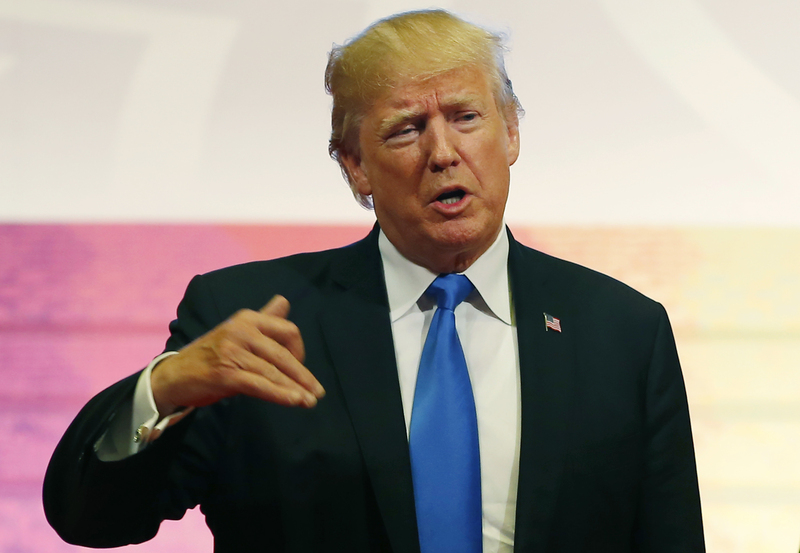 The link may have also come about after Green Day’s song American Idiot was used by protestors as the soundtrack for Trump’s visit to London in July. While some people might think the result fitting, it’s certainly unfortunate for the President.